In all products they create, whether it’s a Maxi Cosi infant car seat, or a Maxi Cosi stroller, or any of their inventive accessories — this is a company that is inspired by two simple words: smart and caring. Being a smart company means striving to solve the problems that matter most to parents and family members. 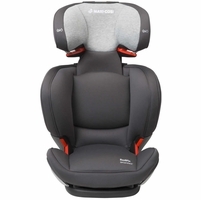 It’s why their car seats are lightweight, durable, and ergonomically designed. Their dedication to making smart products is also why every car seat comes with covers that are the easiest in the industry to care for — they’re designed for removal without unthreading the harness, which means they can be taken off in seconds, washed and dried, and put back on with zero hassle. 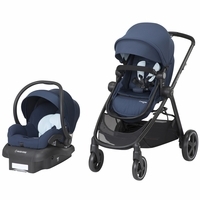 Smart means creating car seats that not only work seamlessly with their strollers and travel system, but that also fit easily with many other top brand strollers. And you know the irritating struggle with a folded stroller that constantly falls over? With the Maxi Cosi stroller, this is no longer a problem: it is sturdy and stays upright, even when folded, for easy transportation and storage. Being a caring company means that they actively seek to interact with and get feedback from parents. They want to understand what it’s like to be a parent today and to create products that not only meet real needs but that also maximize moments of joy between children and their loved ones. 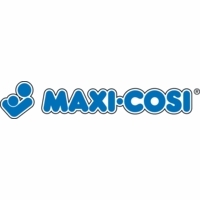 Maxi Cosi is constantly evolving and making changes based on feedback they get from parents like you. They work tirelessly to make products that are efficient and easy to use — which saves time and energy (two things every parent needs more of!) 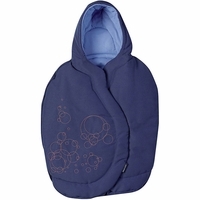 They use fabrics and materials that are lush, beautiful, comfortable, and breathable — you can even get a car seat covered in unbelievably soft sweater knit, the coziest yet. 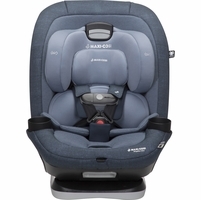 So whether you are looking for an infant car seat or a booster seat, you can trust that Maxi Cosi understands what you need out of a car seat, and has a product suited for you. 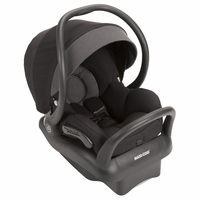 Albee Baby is proud to have a wide selection of Maxi Cosi car seats, all at reasonable prices.